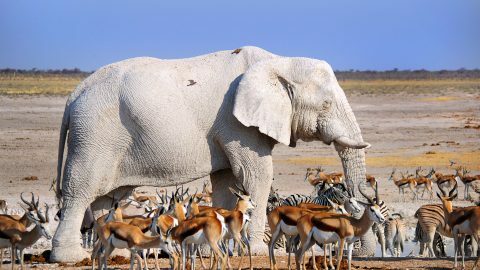 PICTURED: A white elephant standing with a group of gazelles in Etosha National Park in Namibia. 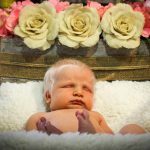 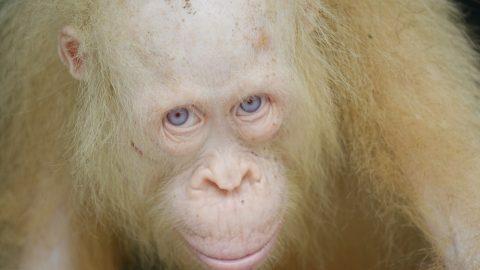 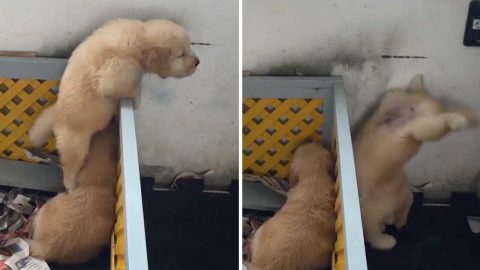 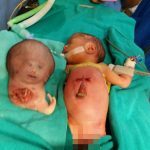 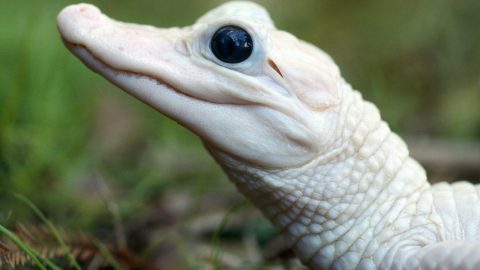 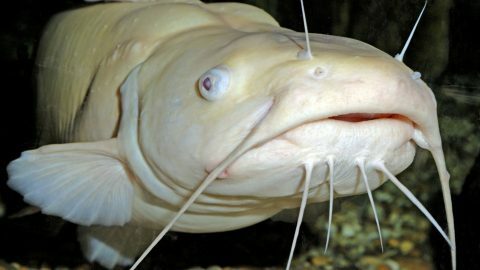 PICTURED: Alba the albino organgutan from Borneo. 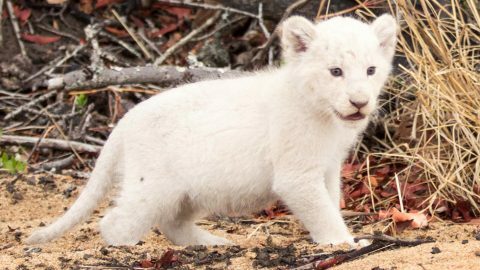 Pictured: Photographer, Lyle McCabe captures a rare Leucistic lion cub in the Kruger National Park, South Africa with its mother and siblings. 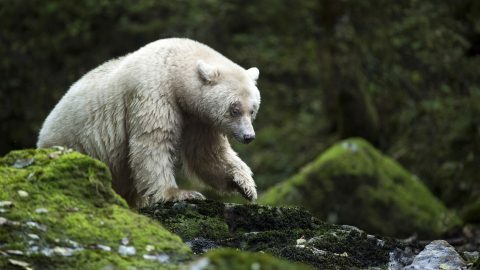 PICTURED: Spirit Bear - An elusive Kermode bear in the Great Bear Rainforest in British Columbia, Canada. 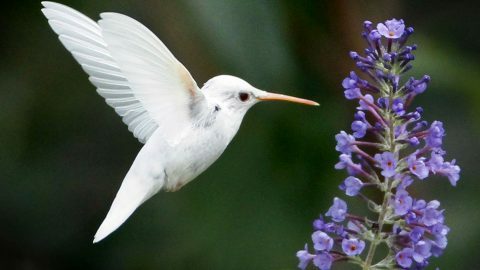 PICTURED: The Albino ruby-throated hummingbird in Staunton, Virginia, USA.